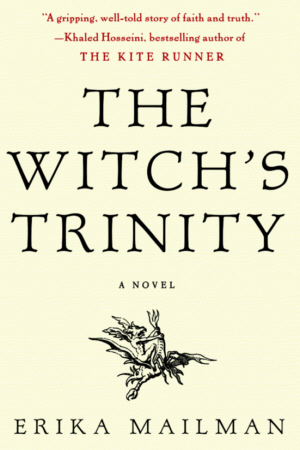 Amidst terrible famine a woman who has strange visions is accused of witchcraft by her daughter-in-law. Is she guilty or is her mind simply failing her? A widow, Güde lives with her son and his wife, Irmeltrud, and their children. Irmeltrud resents her presence: she is too old to work yet she eats from the family’s table. When famine grips the small German town, Irmeltrud sends Güde out to beg for food. As the old woman wanders she imagines that the devil asks for her soul in exchange for a basket of meat. Later, she arrives home with a basket she did not have before she left. She is unsure if what she saw in the woods was real; perhaps she signed the devil’s contract after all. Then a friar arrives claiming that he can end the famine by finding the witch among them and bringing her to God’s justice. At once the village is full of suspicion and accusation, and Güde falls prey to further dreams—visions that feel real—in which her dead husband appears, women fly, and unspeakable things happen in the dark. Seeing an opportunity to be rid of Güde, Irmeltrud offers to help the friar in his quest. But does she believe her mother-in-law has entered a pact with the devil? And if she names Güde as a witch, how will she keep suspicion from also falling on herself?